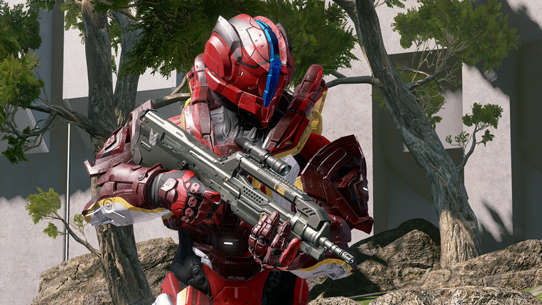 Last week, we detailed the "version 2" update of the official HCS settings that were being tested. Today, we're revealing the final version of these settings that will be used for the duration of the Summer 2017 season starting with Placement Cup #2 next weekend and HCS Daytona on May 12-14. The multiplayer team have been meeting with top HCS pros and reviewing feedback for these "version 3" changes, and we're excited for competition to kick off! All final settings are now updated in the newly named, "HCS Summer 2017" playlist which is live now. 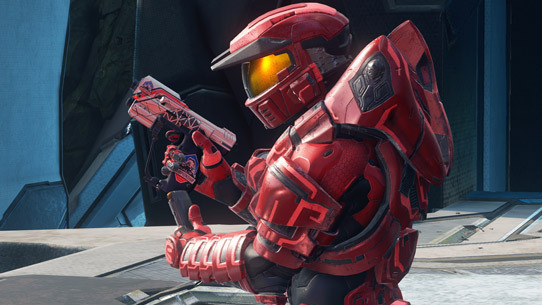 Players can also grab the final settings in the Official HCS file share here. Halo Multiplayer Team: After testing out the Tactical Magnum location in the Red and Blue Tree Houses, players were concerned with how close they spawned to the Top Mid portion of the map. In order to maintain the delicate balance of Top Mid control, we’ve moved these silenced shooters over to the Porch area of both Red and Blue Bases. 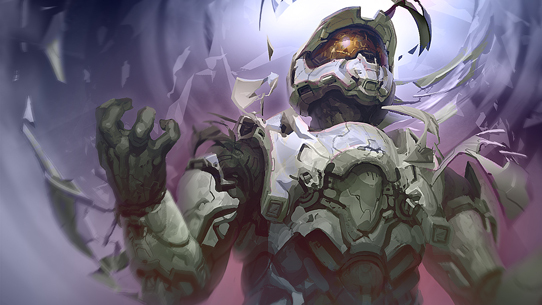 Halo Multiplayer Team: Our team has been keeping a close eye on the strength of the Railgun, especially after its notable sandbox change post-launch. Following our recent updates, players mentioned how controlling the Railgun on Fathom could result in a string of multiple flag caps. To implement this feedback, we’ve decided to reduce the ammo by a single spare clip. Halo Multiplayer Team: Once again, players brought it to our attention that the Railgun can cause overwhelming odds when attempting to battle after respawning. To reduce the momentum swings seen by the team controlling the Railgun, we’ve decided to reduce the ammo by a single spare clip. Halo Multiplayer Team: Various competitors have been asking us to tweak the Scattershot spawns so that it doesn’t play such a dominant part of gameplay on The Rig. After doubling its respawn time, we still saw players bagging more kills than expected. To adjust, we’ve reduced the ammo count in the Scattershot by a single spare clip. Halo Multiplayer Team: Players have been curious about the Tactical Magnum and its potential on the map Truth for quite some time now. After several iterations of Truth containing an abundance of rifles on the map, we’ve decided to swap in the Tactical Magnum to help reduce the long-range effectiveness on this map. Halo Multiplayer Team: To further balance the addition of the Tactical Magnum, we chose to remove the Battle Rifle from the Carbine Tower in order to ensure that players do not have too much power when firing from far distances. Halo Multiplayer Team: Bringing its respawn and despawn time in-line with the rest of the Tier 1 weapons placed on-map. Halo Multiplayer Team: By disabling base movement from showing up, we want to enable players to be smarter about how and when they appear on enemy radar. The slight increase in range is key to the base movement visibility change because it reduces the effectiveness of Spartan Charge and makes sprinting have a real trade off. We feel these changes will make moment-to-moment decision making more interesting for players and more exciting for viewers. This new radar was something that we kept an eye on during testing, and received great feedback on. After discussing radar extensively with HCS pros, players had concerns about some aspects including range. We wanted to collect more data and feedback, and will be closely monitoring gameplay throughout the season, which begins next weekend. During the season, we'll be reaching out to gather feedback on all settings, including radar. We can’t wait to see these new settings in action for the upcoming tournaments! Best of luck to all teams competing this season! To see the full change list from the Halo World Championship 2017 season to the HCS Summer 2017 season, see below.